Treble (of 5) E♭ 1730 Samuel Knight Never Recast 1739. 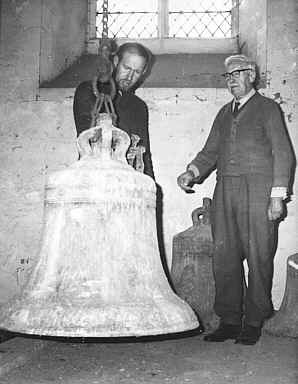 1360 - 1380 Bell cast by Stephen Norton (future 4th of 5). 1552 Record of 4 bells in the tower. 1608 Treble and tenor (of 4) recast by Joseph Hatch. 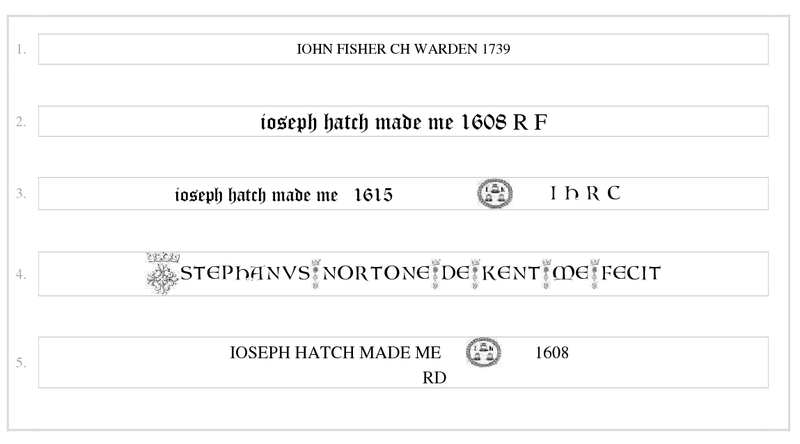 1615 2nd (of 4) recast by Joseph Hatch. 1730 Treble bell added by Samuel Knight to make 5, hung by John Potter. 1739 Treble recast by Thomas Lester and bells hung in a new frame. 1871 Frame reconstructed when the tower was rebuilt. The bells hung exactly as they were before. 1922 Last full circle ringing on the bells. After this time, they were condemned as unringable. 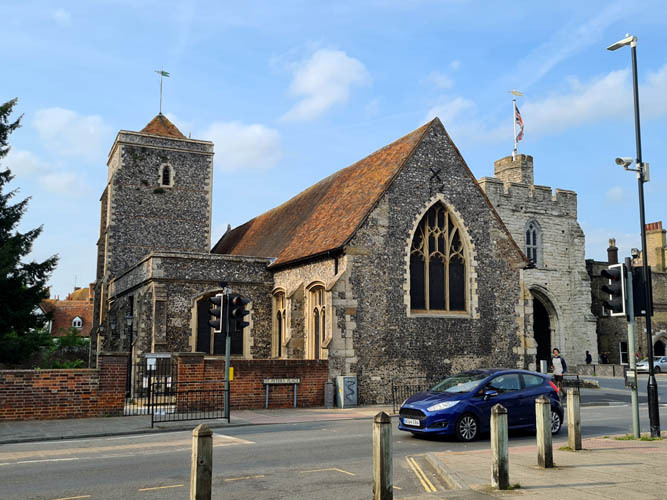 1930 The tower was open for the KCACR 50th Anniversary meeting which was held in Canterbury. 1972 Church declared redundant on 11th Feb. Declaration of redundancy scheme on 30th May. Bells taken out by KCA members in May and were sold for £500, stored, under license from the Diocese, at Whitechapel. 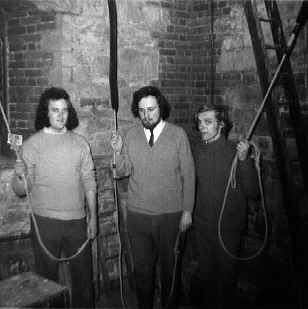 Before removal, permission was granted for the bells to be rung (with the 4th chimed) to changes by some of those involved in the work. 1975 Bells tuned, augmented to 6 and rehung in the tower of St Saviour, Westgate-on-Sea. It is a coincidence that they travelled from one Westgate to another! The tenor reaches ground level, May 1972. Jim Stockbridge, who learned to ring on this bell in 1919, watches, with David Cawley whom Jim taught to ring in 1958. Holy Cross and Westgate showing the old tower with penthouse on the top.